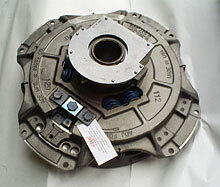 MSI is your authorized stocking distributor for name brand clutches with North American and worldwide coverage. We have clutch brakes, PTOs, combination clutch / brakes and standard clutch parts for quick turn around. Some of the brand names we handle are Wichita, Spicer/ Eaton and Parker. From a class 8 truck to the hard-to-find industrial application, we have you covered. Call today and put our 60 years of power transmission experience to work for you.